Acne is a common skin inflammatory disease caused by sebaceous oil glands. When the hair follicles get clogged with oil, dirt and dead skin then acne can be formed. However when the acne does clear, it can leave scars that can be an annoying reminder. If this breakout occurs near the skin’s surface, the marks can easily heal, however if the breakout destroys the healthy skin tissue, then you will get scars on the skin. These can also form if you repeatedly pick at the acne when you have it. Having a scar can actually increase the risk of the acne forming again. However there are many natural remedies to help get rid of them. Using apple cider vinegar for scars is becoming increasingly popular for good reason! Can You Really Use Apple Cider Vinegar For Acne Scars? ACV is loaded with essential properties that make it as an excellent remedy for removing acne and its scars. It’s astringent properties dry out the oily skin. It scrapes off all the dirt, old and dead skin cells on the skin pores and regenerates the skin’s tissue for the growth of healthy new skin. It has antibiotic and antiseptic properties. It balances the pH levels of the skin. It has many essential nutrients (vitamins A, B2, B6, C, E, P). It contains alpha hydroxy and amino acids that dissolves dead skin cells and fatty deposits in the skin. It contains malic and lactic acids which help for exfoliating and softening the skin to reduce the red marks. It also helps for indented scars. It acts as a powerful skin detox and cleanser. Mix equal quantities of ACV and water in a bowl. Use a cotton ball to apply to the affected skin. Let it sit for few minutes and wash off with water. Pat the skin dry and repeat once a day. Rosewater can be used instead of normal water. Or apply ACV without diluting if you do not have sensitive skin. Add 2 tablespoons of vinegar and some honey in 2/3 cup of water. Mix it well and apply on the affected skin using a cotton ball. Leave it on for about 30 – 45 minutes and then wash off with water. Gently dry the area and apply regularly. Sugar works as natural exfoliant that helps to break up the scar tissue. Honey retains the skin’s moisture and stimulates skin cell renewal, green tea detoxifies the skin and removes the free radicals. Mix 1 teaspoon of apple cider vinegar, 2 teaspoons of green tea, 5 teaspoons of sugar and 1 teaspoon of honey together. Clean and dry your skin and then apply this mixture. Massage it gently in circular motion for 2 – 5 minutes and leave for about 10 minutes. Then prepare a toner by adding 1 part of cider vinegar, 2 parts of green tea and a teaspoon each of olive oil, lemon juice or tea tree oil. Was your face then apply the toner with a cotton ball. Leave on overnight and wash it off in the morning. Mix 1/4 cup of apple cider vinegar with 1/2 cup of water. Pour in an empty spray bottle or a glass container and shake gently. Spray or apply this on the skin and then leave to dry. Mix cider vinegar and a few drops of tea tree oil. Leave it on for few minutes and wash it off with water. Mix 1/4 teaspoon each of organic vinegar and fresh lemon juice. Dilute this mixture if you have sensitive skin. Leave it off for few minutes and wash it with water. This mixture removes dead skin cells and encourages the collagen to fill in indented acne scars. On the first day, mix baking soda and water. Apply on the acne scars and wash it off once dried. On the second day, mix ACV and water. Apply on the face using cotton ball and wash off after 15-20 minutes. Mix 1 teaspoon each of raw milk and apple cider vinegar. Apply on the affected skin and leave for 15-20 minutes before washing off with water. Continue doing this process twice a day. Mash a banana and mix one spoonful of paste with 2 teaspoon of ACV. Apply on the acne scars and leave for 15-20 minutes. Mix organic ACV with fresh lemon juice and rose water in 2:2:1 ratio. Apply on the affected skin with a cotton pad and leave to dry. Follow these tips and precautions along with the above mentioned methods to make the most of apple cider vinegar acne scars. For best results, use raw, organic, unfiltered and unpasteurized apple cider vinegar that has mother in it. Dilute before applying to a avoid irritation. Avoid applying on open wounds, very dry areas and too near to eyes. Remember to wash your skin well after each application. Make sure to consult your doctor if you didn’t find any relief. Apply some aloe vera gel or coconut oil to reduce the reddishness. I have dark blemishes on my face like cheeks.. 4head.. Noes on this area.. How I remove blemishes on face? Vinegar is best for remove blemishes? How many days it’s give me result? Apple cider vinegar works for reducing the appearance of dark blemishes as well. Mix 1 part of acv and 3 parts of water, using a cotton ball apply it on the blemishes. Leave it on for 25 minutes or until it completely dries. Rinse off with water. Repeat 2 – 3 times a day until you achieve the results. Yes, it can. Choose any remedy mentioned above in the article and try them regularly. is it okay to use other brands of acv besides braggs that doesnt have mother? Make sure it contains mother in it, However You can use any brand apart braggs. Can I use any apple vinegar I get at the store? Cause I have been searching for and can’t find an unfiltered apple vinegar with mother. Can I use any apple vinegar I get at the store? Cause I have been searching for and can’t find an unfiltered apple vinegar with mother where I live. hi i have dark marks on my face im applying apple cider direct to my face as it is . is it not going damage my skin? No, it will not damage. But if it is causing any discomfort then dilute it with some water before application. How can ACV useful to make face skin whiter and what are the steps to be followed ? Dip a cotton ball in diluted apple cider vinegar and wipe it over the skin. Let it dry completely and rinse off with water. Repeat the process 2 – 3 times a day. Thank you for your help it’s a very easy to follow step by step on what to do in each situation. should i have to mix up with water. should i have to mix up with water and drink. Can I use normal water instead of rosewater for the first remedy? How quick does it ? I had a blind pimple. It got worse over time and I think it is a scar now but I can’t tell. It’s been there for a couple weeks now. I just want to know how long the acv regularly takes and if it’s best for scars. The time is different from one person to another. Yet you can observe positive improvement in few days. The malic acid and lactic acids present in ACV exfoliate and soften the skin which lightens the scar gradually. Hi. As mentioned above for the tea tree oil method. If I use acv as well as tea tree oil do I need to dilute the water then too ? I have lots of dark acne scars on my face will both of them help in reducing ? No, you can just dilute few drops of tea tree oil in apple cider vinegar and apply the mixture on the acne scars. Wash it off after few minutes. If the mixture of tea tree oil and acv is causing any irritation then you can dilute it with some water. Am using 1 part of ACV with 1 part of water, is it ok……Do we need to store the toner in refrigerator??? Yes, it is ok. You can store the toner in refrigerator for 10 days. Can i use asv on old scars? But will it work? I’ve been using the acv and baking soda for almost 2 months now. I see very little progress. Yes, it works. You may be having stubborn acne scars and less healing capacity so, it might be taking months to see the improvement. Keep on trying until you achieve the results. I am using a medicated astringent, bleaching cream and sunblock for 6 months. Im planning to try the ACV Toner for my acne scars. Is it ok if I use the ACV Toner? Or do i have to stop what I am using and wait for days to pass before I’ll use the ACV Toner? Thank you. You can use the toner along with the creams you have been using. My acne marks/scars are very red with a lot of indents. I wear makeup when i go to work and then wash my face with baking soda and water afterwards. I later use the ACV and water mixture. Does my makeup have a huge impact on the efficiency or quality of the results? Any suggestions? I just do not like the appearance without makeup but if I have to stop using it for my scars to heal, I will. Also, I have a derm roller i have yet to use. Any suggestions? The chemicals present in makeup can prevent the healing process. It is better to avoid chemicals based cosmetic products until the acne scars get cleared. I use to have sores after getting soaked by the rains nw I want to get rid of scars can use acv and they are old ones. 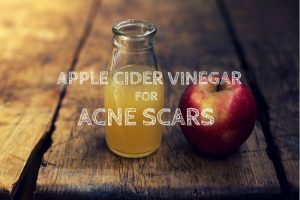 Yes, apple cider vinegar helps to reduce the appearance of scars. can i keep the apple cider vinegar on my face overnight? If your skin can tolerate, it is safe to leave the acv application overnight. Usually apple cider vinegar doesn’t cause any red spots. So, ACV may not be the reason for the red spot. Admin thanks a lot i appreciate you’re tips but Is it possible to apply more than one procedure? say for example i used the ” Baking Soda with Apple Cider Vinegar” during the day and at night time i will use Apple Cider Vinegar with Raw Milk. is it okay? will it irritate my skin? If you have sensitive skin then it may cause irritation. Yes, you can apply moisturizer after each treatment. Make sure to use oil-free moisturizer that contains salicylic acid which are helpful in preventing breakouts. I use the acv toner (acv + water only) every night but I cant help but notice my nose being so oily in the morning when I wake up but Im not usually oily. What do I do? Should I wash my face after the acv toner dries before I sleep or no? Apple cider vinegar might have brought the clogged oil to the skin surface. If you are experiencing oily skin throughout the day after using ACV toner then avoid using it. I used acv direct on m face n scare n pimples it started burning me …? ?should I use this again or not or it dnt suit me ..I have lot of pimples n ance on m face …plzz mam give me a good solution…. Can i use ACV with Aloe Vera Gel for acne, acne scars, dark spots,redness,rash,scar holes pimple and fungus on my face? Any suggestion? Please,i need your help. i’ve seen a lot of youtubers using acv as a toner after face wash then immediately putting cream on afterwards. does this mean i dont have to wash my face after using the acv as a toner? can i just apply cream straight after? You don’t have to rinse off the ACV application, you can apply the cream straight after the ACV dries off. I have an oily face, also have pimple n black spot spread all over my face, my pimple are hidden whenever I torch my face I can feel it, have use some things like turmeric, cinnamon, grand flour and even apple cider vinegar, they is diferent please someone should help!!!!!!!! Thanks admin I appreciate your tips. But on the no. 7 remedy, i didn’t understand it well. After 1st and 2nd day, repeat the baking soda on the 3rd day again? Then apple cider vinegar on 4th day? Or continue with the apple coder vinegar on the 3rd day and so on? You have to repeat the baking soda application on 3rd day and ACV on the 4th day. Hello mam. Can ACV cured acne scars? Yes, it can. ACV exfoliates the impurities and encourages growth of healthy cells. The malic and lactic acid present in it reduce the appearance of the scars. How many days mam can effect the avc to my acne scars? Hi thank you for the remedies. I have been using baking soda and water on my face, but then got white vinegar with composition of 5% acetic acid. Is it safe to use this in my face instead of acv? Yes, you can but avoid it if you have dry skin. White vinegar with 5% acetic acid can be dry out the skin. And it is okay mam to leave the avc overnight? i have too much acne spot how i remove it? You can try any method mentioned above in the article to reduce the appearance of acne spots. Apart from that exfoliate and moisturize the acne spots regularly. Hi i just started using this week and so far i love it . My question is since i don’t wash it off can i put make on ? Yes, you can put make up on it once it dries completely. When Acv using as a toner. Should we wash our face with water after applying Acv toner or can we apply mouishriser directly after toner dry out. You can directly apply moisturizer once the ACV completely dries. Would applying apple cider vinegar to my acne on my back help with curing it? PLZ HELP THIS IS NASTY!!! I had huge pimpes on my face last 2yrs but the pimples has but it left holes,marks and dark spots on my face. My question is can ACV help to cover the holes,remove the mark and dark spots? Yes, ACV helps to shrink the open pores, lighten the marks and dark spots. Try the process regularly without interruption until you achieve the results. I hv plenty of black spots on my legs for yrs,can AVC remove it and how can i mix it? what if i have chemical burnt scars on my face. will any of this remedy work? Because i have no acne scar but a burnt one. or suggest me plz what should i do. Chemicals burns are very stubborn, they take time to lighten. So, we recommend trying any method mentioned in the article regularly without interruption until you achieve the results. Can I keep the ACV and water mix for a couple of days or do I have to make a fresh batch everytime I apply on my face. If you want effective results, you have to make a fresh batch each time you apply on your face. What about when I apply the acv & water on my face , then it dries? I put on a moisturizer then what? That’s only 1 time I put it on my face how can I do is 2-3 times a day ? Hiii mam, I have a sensitive skin with acne and scars. .. I had used many home remedies but my prb does not solve. Can I use ACV on my face… ??? And main reason of my acne is menses. Plzzzz suggestion to make healthy skin… Thank u…. hi there, i’m using ACV as a toner for acne scars. excatly the same method mentioned in the article for ACV toner. i’m applying it from 2 weeks and drinking ACV with water also. but i didn’t find it curing my scars instead it is only fairing my skin and reducing body fats. any suggestion ? Try using baking soda scrub to lighten the scars. Combine baking soda and water. Massage the scrub on the scars for few minutes and rinse off with water. You can repeat this method along ACV remedy. i have acne scars. if i was to do the water with avc treatment how long should i expect for results. The time duration for achieving results depends on your skin texture and its healing capability. As we are aware of the details, it is difficult for us to mention the duration. However, you may observe the different in a week if followed regularly. For effective results, we recommend exfoliating and moisturizing the acne scars regularly. Which tym is correct to apply acv ,morning or night tym. Yes, you can. Night time before going to bed is the perfect time as our skin undergoes renewal cycle while we are sleeping. What happens if i use ACV without the mother as toner? Usually, the maximum nutrients and beneficial properties of apple cider vinegar are present in the mother element. If ACV doesn’t contain the mother element, then it may not provide the results you are expecting. Can I mix ACV in my moisturizing cream? Is it okay to apple the ACV toner every night before going to sleep ? Or do I have to apply every other day? Diluted apple cider vinegar can be used as a toner daily before going to bed. However, if you have dry skin then use it once in 2 – 3 days. Can I use ACV to remove pimples on my face? It takes how many minutes to wash it off? Yes, you can use apple cider vinegar to reduce the pimples on the face. Make sure dilute it before applying it on the pimples. For a step-by-step process, you can read this article – http://homeremediesforlife.com/apple-cider-vinegar-for-acne/. You can rinse off the application once it completely dries off. Yes, you can use apple cider vinegar to treat pimples and lighten dark spots. It is difficult to tell the exact time frame because everyone’s skin and healing capacity is different. I need your advice ma’am. Yes, you can apply apple cider vinegar directly on the acne scars. But make sure to patch test before trying out the remedy. It is difficult to tell the exact time frame as it depends on the person’s skin texture, healing capacity and others. i took acv for 3 weeks and it caused my face to break out badly. I stopped taking it and have these red blotches on my face that dont seem to be healing too fast. What could that be? will acv make it better if I apply like you say with a cotton ball on them? Bye the way I’m 58. Usually, apple cider vinegar consumption doesn’t cause acne breakouts. But if it has caused in your case then avoid taking it. Applying apple cider vinegar is helpful in removing breakouts however patch test it to make sure you are not allergic to it. Yes, you can but make sure to patch test before trying it out on the affected areas. I have Lupas n my skin brakes out in a rash n red my skin is sentitive will the apple cider vinegar irritate n burn my face I want to use it but not sure if it will burn my skin ? Perform a patch test on your inner arm or a very small part of the affected area to know the reaction of ACV. If it is not causing any harm then you can continue using it for regular treatment. If not, you can avoid using it further. Hello, pls what if I use American Garden ACV. will I see results? Hey, I wanna ask that is ACV is effective for pimples, marks of pimples, poers and oily skin. PLZZZZ help me!! Hey, I want to ask that is ACV is effective for pimples, marks of pimples, pores and oily skin??? Plzzzzz tell me. And in how many days I can the results. PLzzzz help me. I am suffering from acne and acne scars for the past 2 years which refuses to heal. Now i’m 17 and still suffer from it; which covers right side of my face. Please suggest something and for how long? hi there ! I have had a black spot on my nose caused from picking at my blackheads it has created the biggest scar ! Will apple cider vinegar work for me in this situation? Does it have to be applied with a cotton ball and does it still work if it doesn’t have mother in it because i bought the wrong one without mother? Hello first of all thanks a lot for sharing this. I have literally tried everything for my acne. I did not have a single pimple on my face a year before but this year it just started coming out of no where. I especially have acne on my chin and they have caused lots of indents. pls tell me if the ACV toner help to heal these indents? Can I use it to cure my back acne?? What should I use to remove pimple scars permanently? I have popped the pimples on my face / forehead for many years. But now the scars have started to show up and they are light brown patches. I am wondering if you can suggest something that will permanently remove the stains of these scars? How can I rid of bacne marks ? Does apple cider vinegar will be helpful for me to get cure of this probelm ? 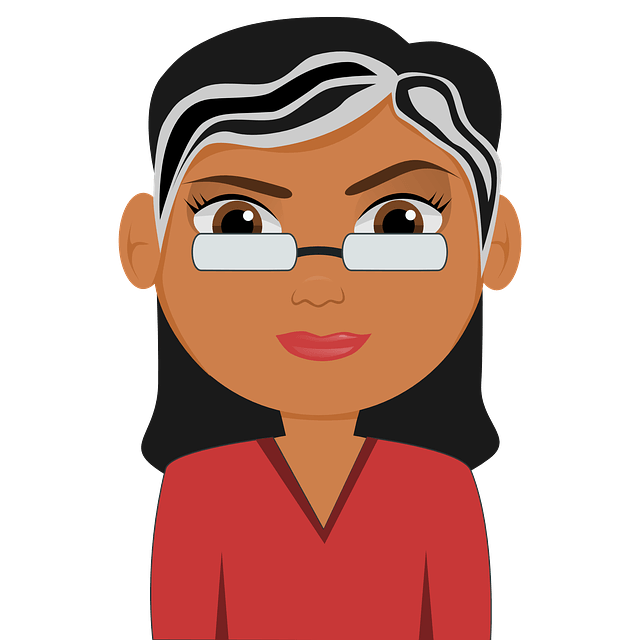 Can i use kurtz ACV? and Lemon juice as a detox drink to clear up my face and to lose weight ? Does it helps minimizing large pores?